Patrick Neher studied with David Walter at the Juilliard School where he received his Master of Music Degree with Honors in 1981 In 1996 he received the coveted Diplome from the International Rabbath Institute, Paris, France. 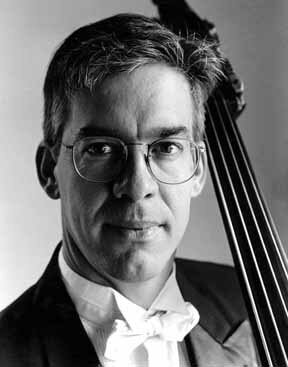 He was appointed to faculty of the University of Arizona in 1984, where he founded and directed the Arizona Double Bass Symposium from 1988 to 1996. He is a former member of the San Diego Symphony, the New Mexico Symphony, the American Philharmonic, the New Orleans Symphony, the New 20th Century Players, and for ten years he was Principal Bassist with the Tucson Symphony Orchestra. For almost two decades, Mr. Neher was Principal Bassist with the Santa Fe Orchestra and the Santa Fe Pro Musica Chamber Orchestra. Neher's solo concert career has taken him to England, Scotland, Australia, France, Canada, East and West Germany, Italy, Mexico, Argentina, Peru, and throughout the United States. As an active chamber musician, he has performed at numerous festivals, including: the Santa Fe Chamber Music Festival, the Sedona Chamber Music Festival, the Grand Canyon Chamber Music Festival, the Spoleto Festival, the Lincoln Center Chamber Music Society, the Grand Teton Music Festival, the California New Music Festival, the CalArts Contemporary Music Festival, the Santa Fe Opera, and the New Orleans and Phoenix symphonies' summer festivals. He is the founding member of both Trio Barock and Trio Giovanni. He can be heard on recordings of the ISG label. Reflet sur Cher for solo double bass was composed for and dedicated to Professor David Walter, who has been an inspiration and catalyst for creative thought and musicianship throughout the world. It was begun in 1996 while studying with François Rabbath at the Rabbaths' summer home along the Cher river in the Loire Valley, France. The river and the flowers blooming along the banks set the mood: undulating, turbulent, sensuous, frivolous, ominous, cold, furious. Emotions that environments bring, mental reflections on endeavors and deeds, reflections of light on the water, and facets, planes, lines, are all characters which interact throughout the duration of the piece. Finally, the piece was finished after visiting David Walter in NYC in Feb. 2002. With those of the Cher, the composition combines the reflections and memories one has for another who has provided insight, knowledge, awareness, and meaning for life. This reflection on one's "raison d'etre" is the nature of the piece.